Dhaka, 13 Jan, Abnews: Newly discovered fossils show that moths and butterflies have been on the planet for at least 200 million years. Scientists found fossilised butterfly scales the size of a speck of dust inside ancient rock from Germany. The find pushes back the date for the origins of the Lepidoptera, one of the most prized and studied insect groups, the BBC reported. They used acid to dissolve ancient rocks, leaving behind small fragments, including “perfectly preserved” scales that covered the wings of early moths and butterflies. “We found the microscopic remains of these organisms in the form of these scales,” said Bas van de Schootbrugge from Utrecht University in the Netherlands. The study reveal that some of the moths and butterflies belonged to a group still alive today that have long straw-like tongues for sucking up nectar. “These finds push back the evolution of this group with proboscises - with a tongue - by about 70 million years,” said van de Schootbrugge. The early Lepidopterans survived the mass extinction at the end of the Triassic, which wiped out many other living things, the BBC report said. “This knowledge will help inform modern conservation efforts,” said Timo van Eldijk, also of Utrecht University and the lead researcher on the study. The information is “paramount to help we piece together how current manmade climate change might affect insects and their evolution in the future”, he said. 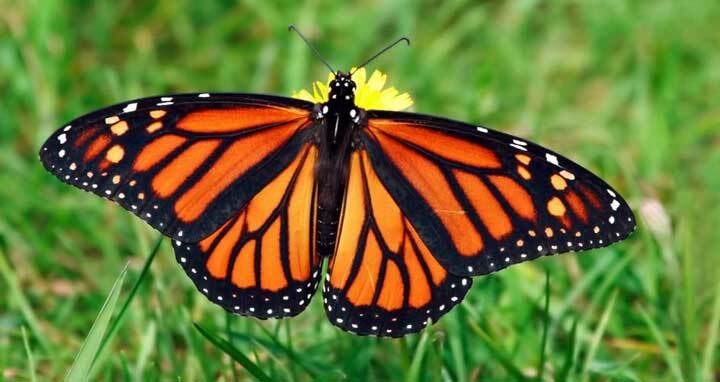 Butterflies and moths are fragile creatures, meaning fossil evidence is rare, the BBC said.